Coming to the issue of taxes, this gets to the more fundamental issue of the effects of taxation and spending cuts. There are several studies out there evaluating past efforts at fiscal restraint that show the heavy weight of successful contraction has been on the spending side. There's some question of the data, in that you only have 25 observations and they're all unique and so homogenizing them is difficult, but the general conclusion is that you cannot successfully attack fiscal problems through taxes. A bit value-added tax will cure the budget deficit temporarily, but the spending forces that generated it are still im play. But if you cut spending, it's a different base. And there are unquestionable studies showing that higher the level of taxation in the system, the less viable and innovative is the economy. Ezra only published excerpts, so I don't know the full context of what Greenspan said. But it sure sounds like he's saying substantially higher taxes are incompatible, or at least not easily compatible, with a dynamic, innovative economy. Nor has high taxation in the Nordic countries impeded economic performance. Rather than relying mainly on income taxation, as in the US, the Nordic countries rely on value-added taxation, which provides a relatively high amount of revenue with relatively low rates of evasion and few distortions to the economy. The Nordic experience also belies conservatives’ claim that a large social welfare state weakens incentives to work and save. National saving in the Nordic countries averages more than 20% of national income, compared to around 10% in the US. Moreover, economic growth in the Nordic countries has been similar to that in the US in recent years. Income levels are higher on average in the US, but mainly because the Nordic countries work fewer hours per week. In any case, all of the Nordic countries have very high incomes, and Norway’s per capita income actually exceeds the US. There are reasons why Americans might not want to have such an economy, but the supposed difficulty of growth with high taxes should not be one of them. This doesn't mean, by the way, we shouldn't work on spending too. We should--by trying to control health care costs, as we're starting to do via the Affordable Care Act. 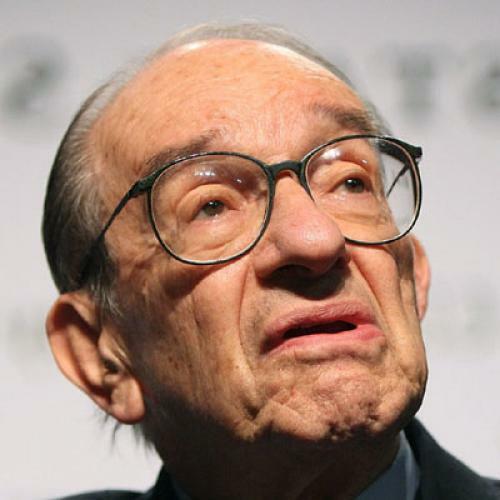 I'm sure Greenspan endorsed that measure heartily.